The 2017 Acura ILX is a compact sports sedan that makes Phoenix drivers feel as if you’re sitting in the lap of luxury. With an exterior that boasts a lot of attitude and finesse on the road, coupled with design features and details that aren’t found anywhere else, the Acura ILX stands out as a vehicle you can’t wait to get your hands on. Explore the exciting ILX exterior features below and see for yourself why this model needs to be in your possession today. The 2017 Acura ILX comes with a variety of design elements and features that make it look unique and tackle the Peoria roads with ease. If you really want to kick things up on your Acura ILX, opt for the A-SPEC package that helps you bring things into focus and offers sweet design elements you’ll enjoy. It’s necessary to have a vehicle that you love, and the 2017 Acura ILX exterior brings the style that makes your heart skip a beat. 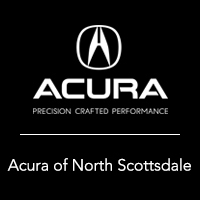 Acura North Scottsdale has a nice selection of Acura models to choose from, so explore the ILX exterior in more detail at our dealership, located at 7007 E. Chauncey Ln in Phoenix, AZ. You can also learn more about current specials by calling (877) 704-2064 today.